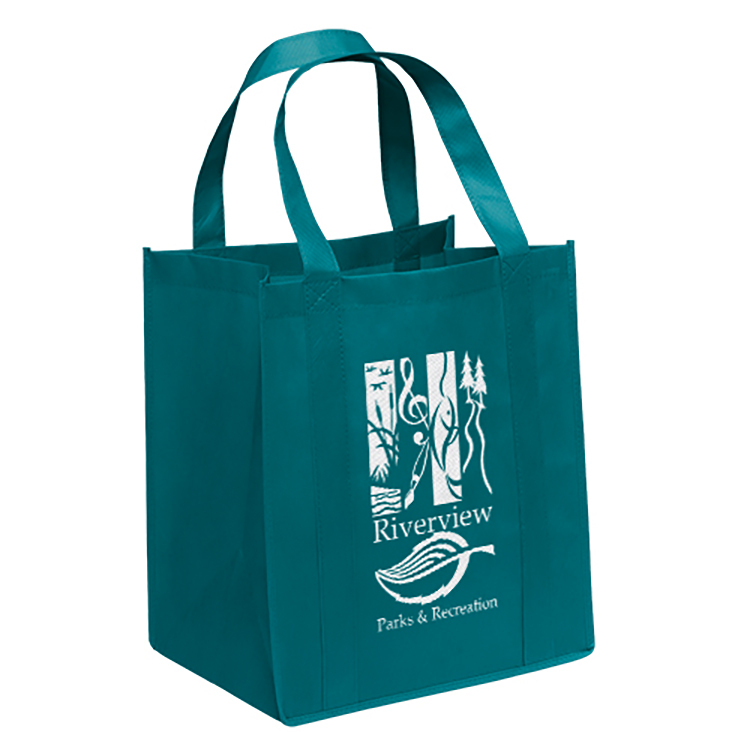 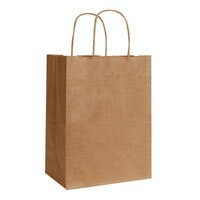 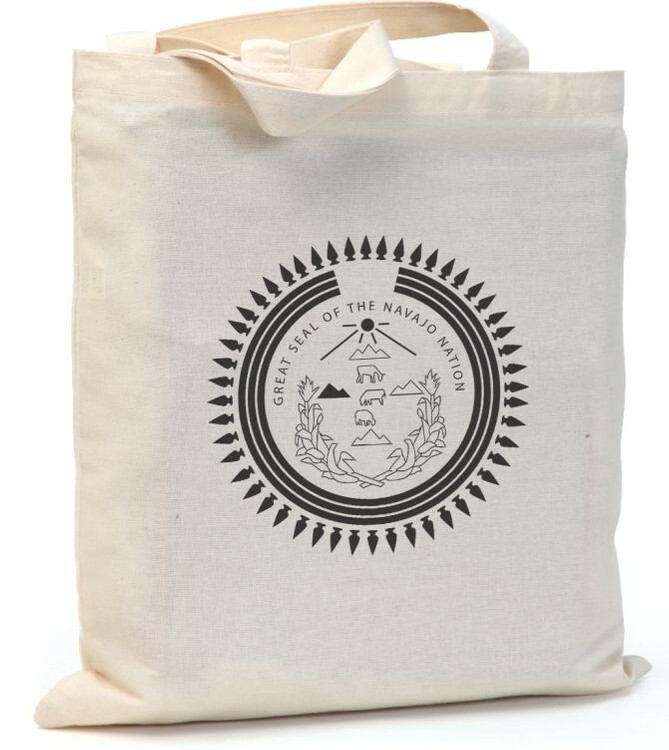 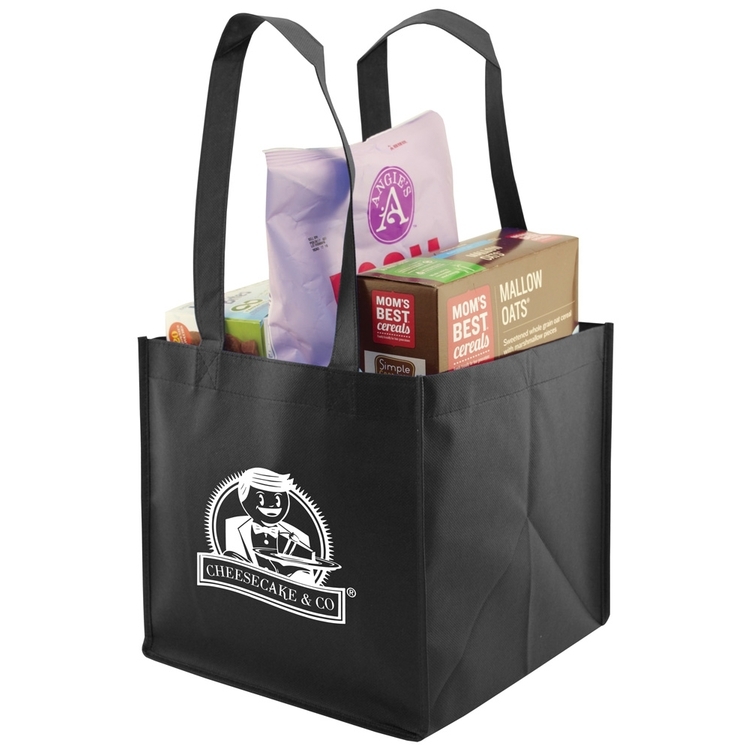 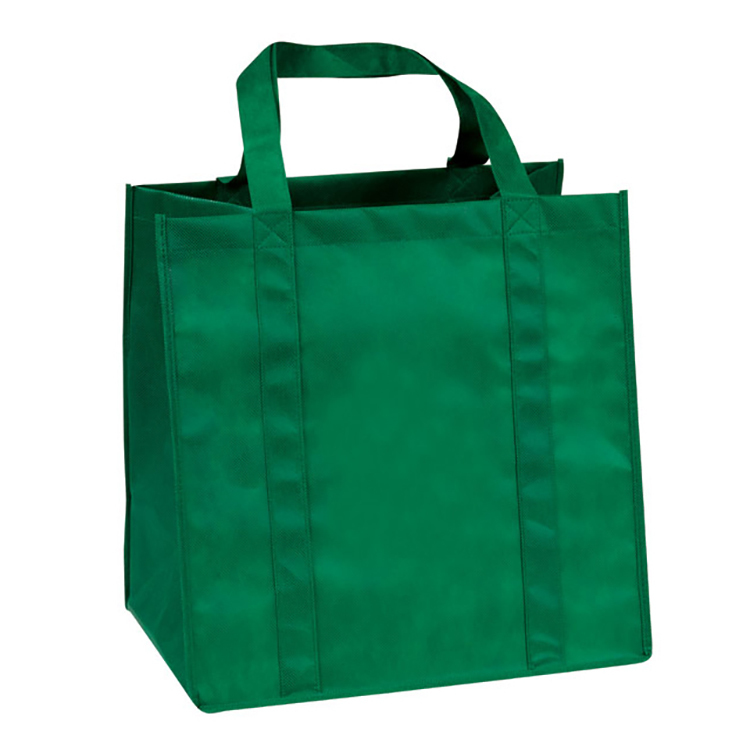 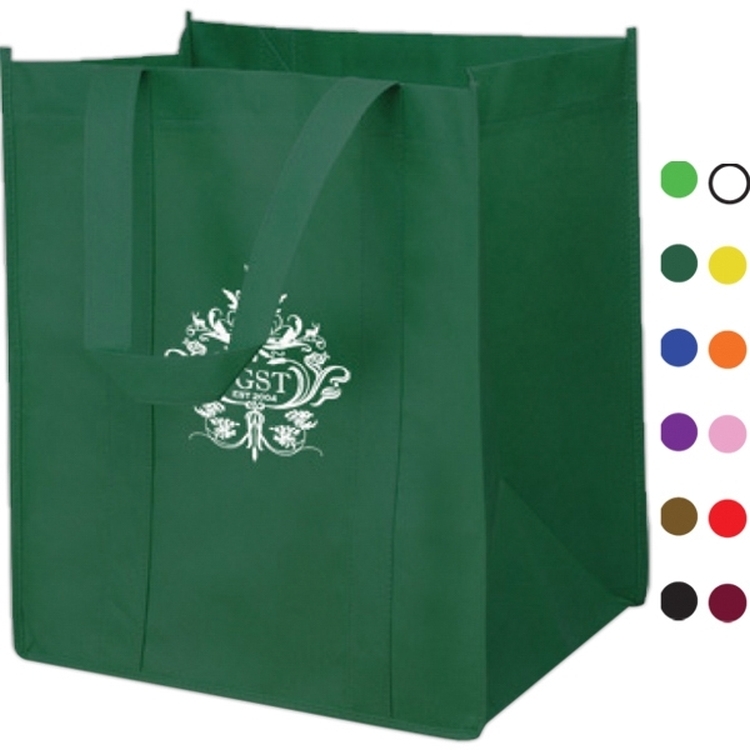 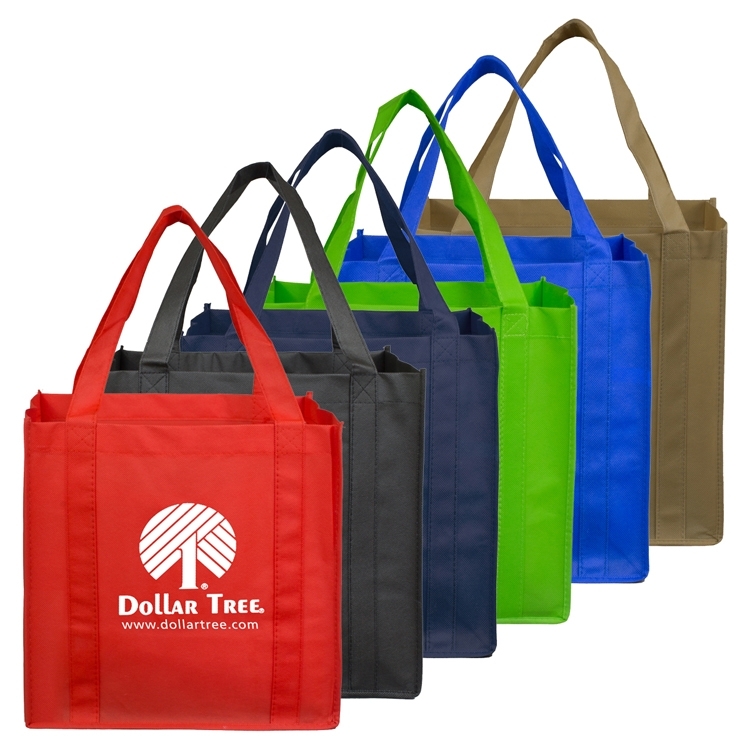 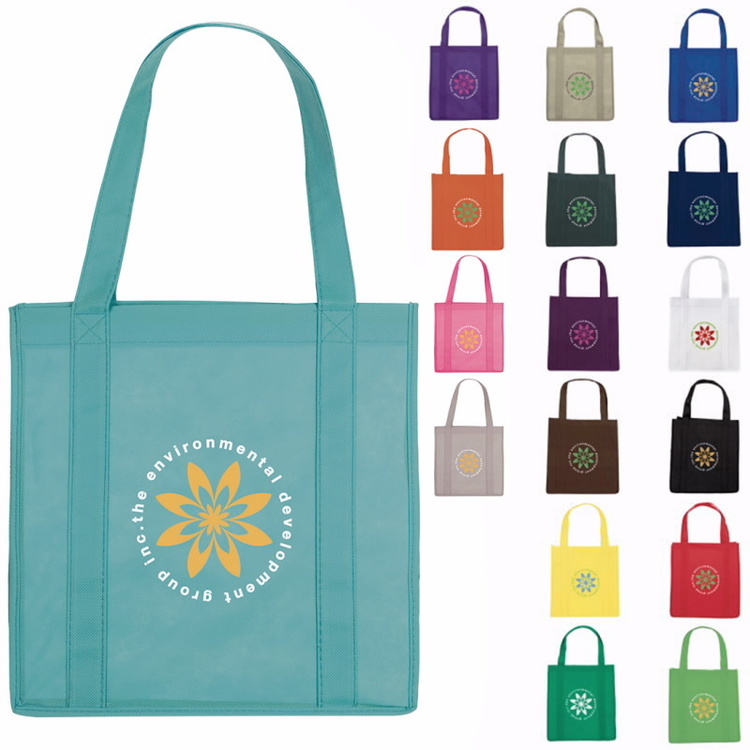 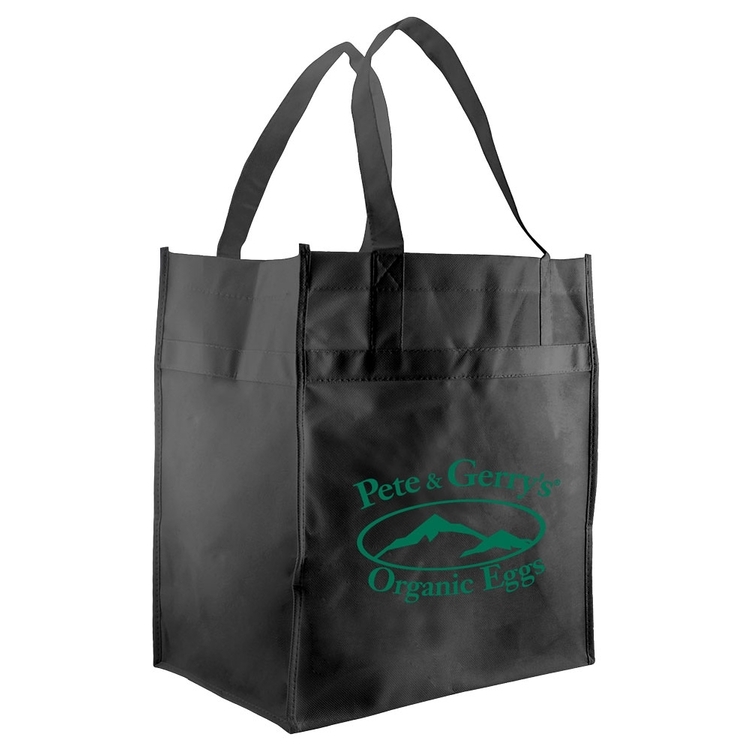 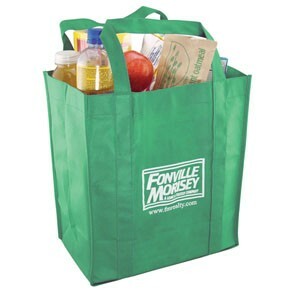 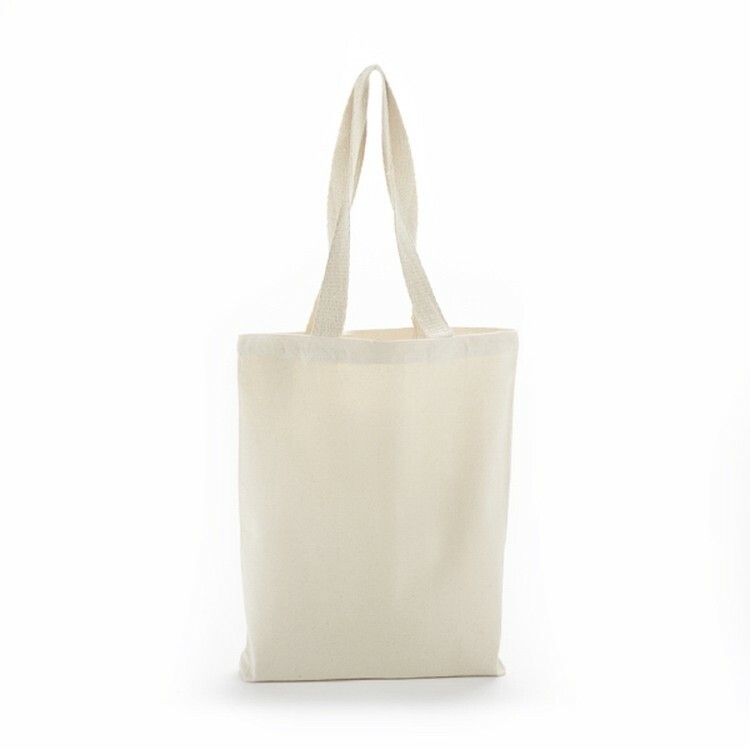 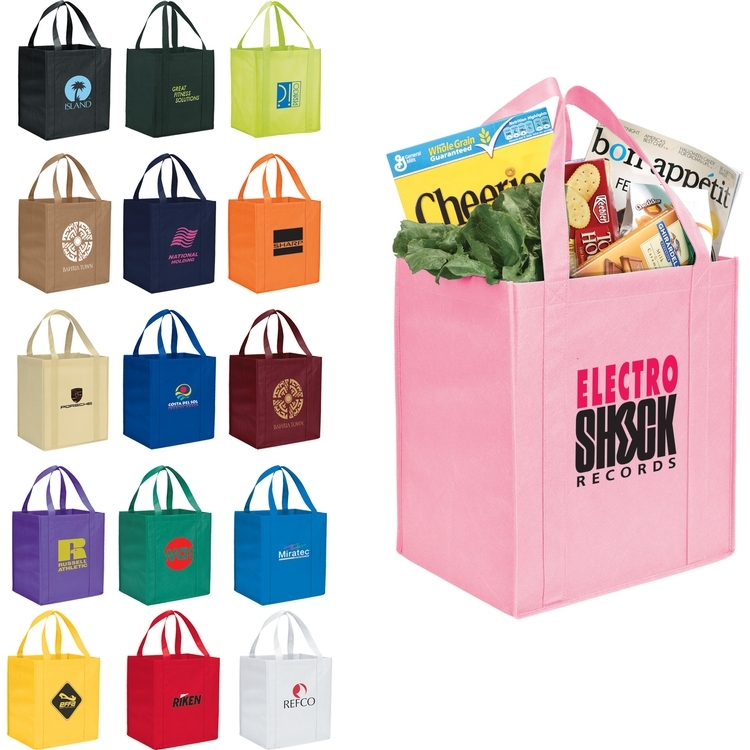 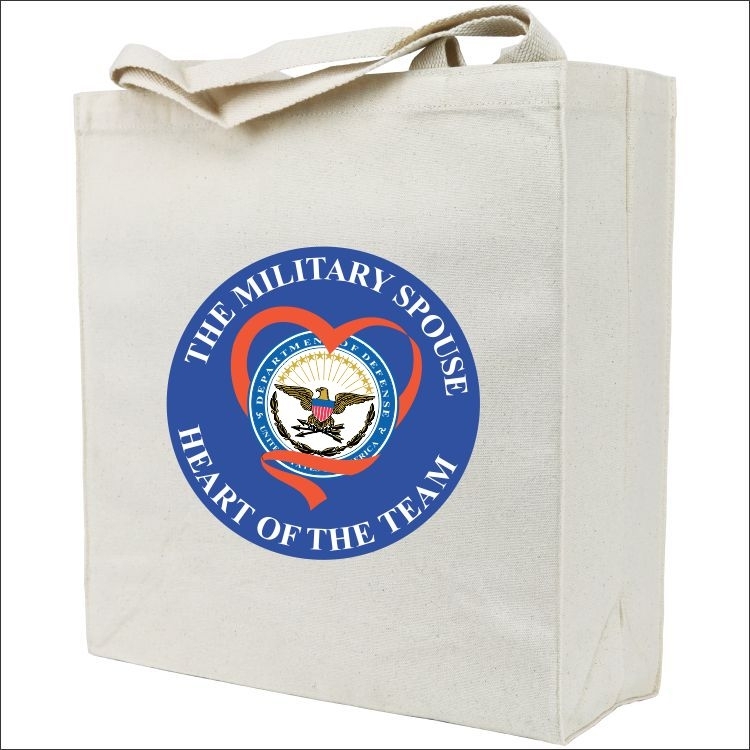 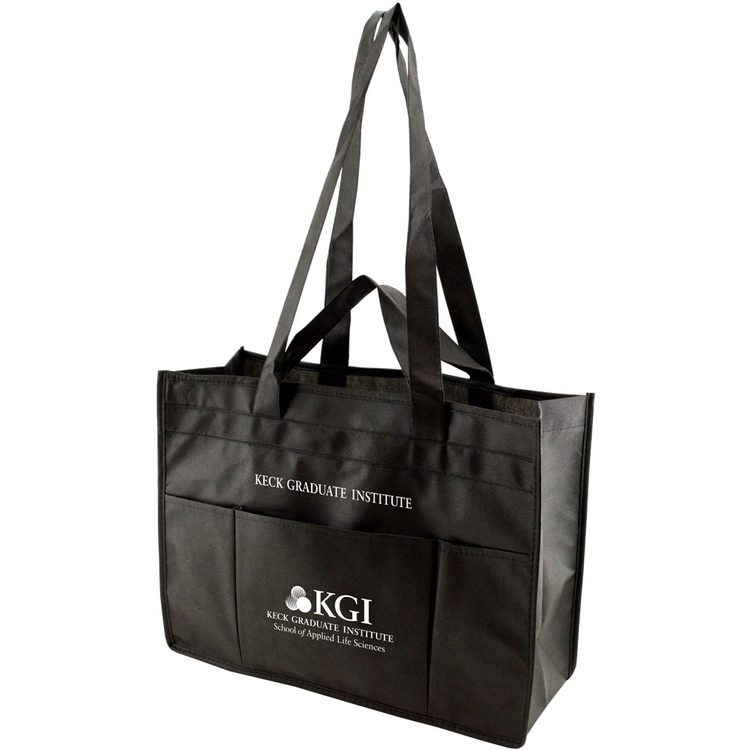 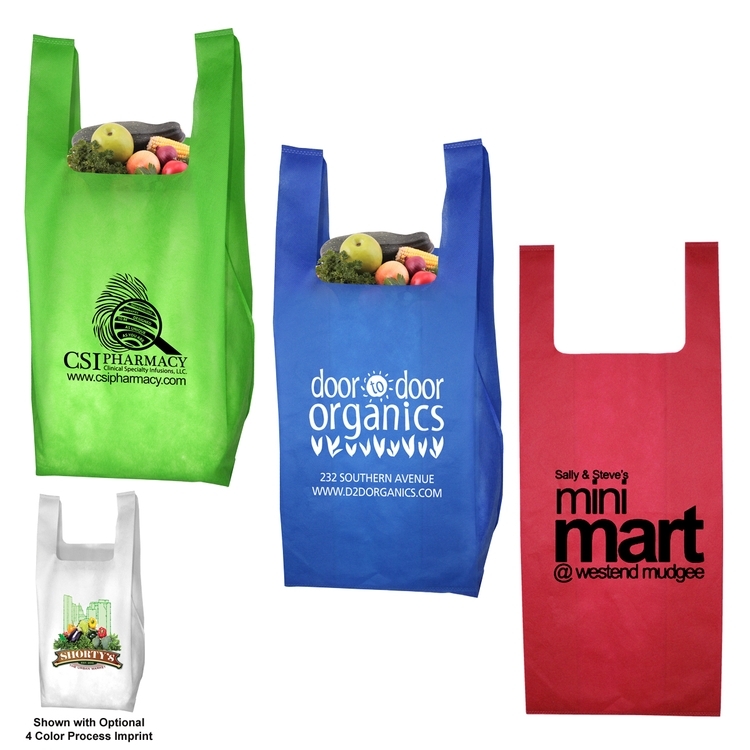 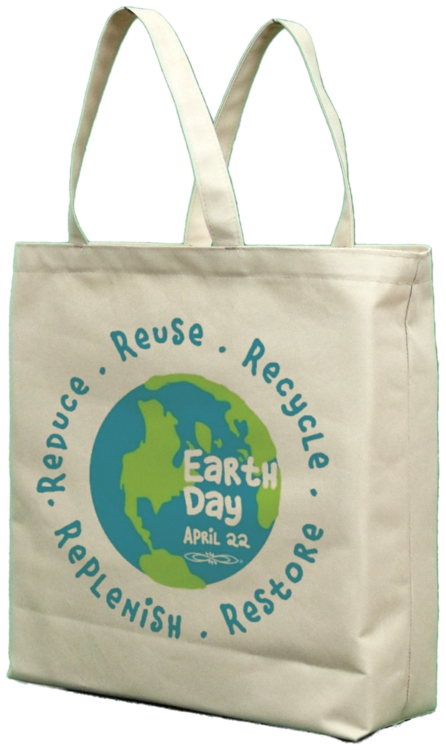 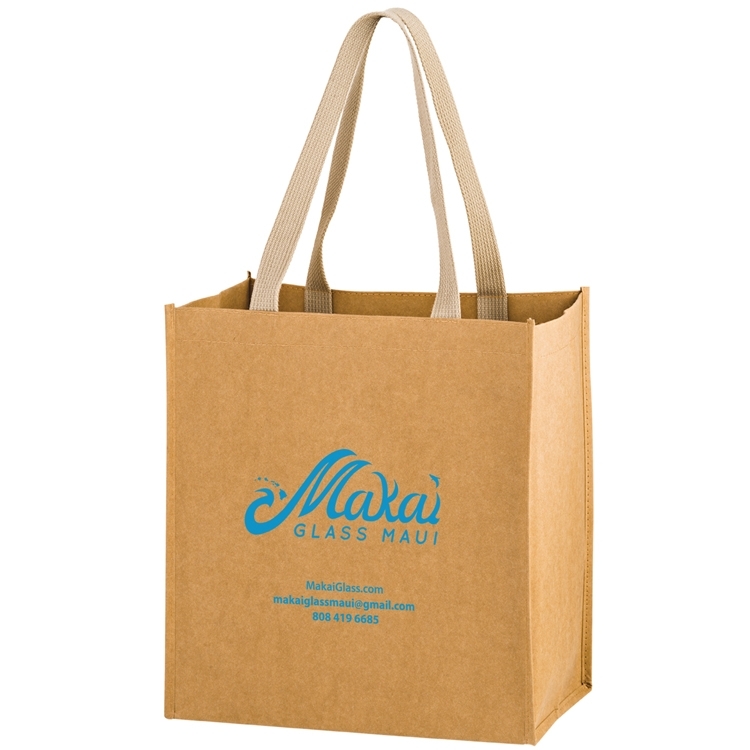 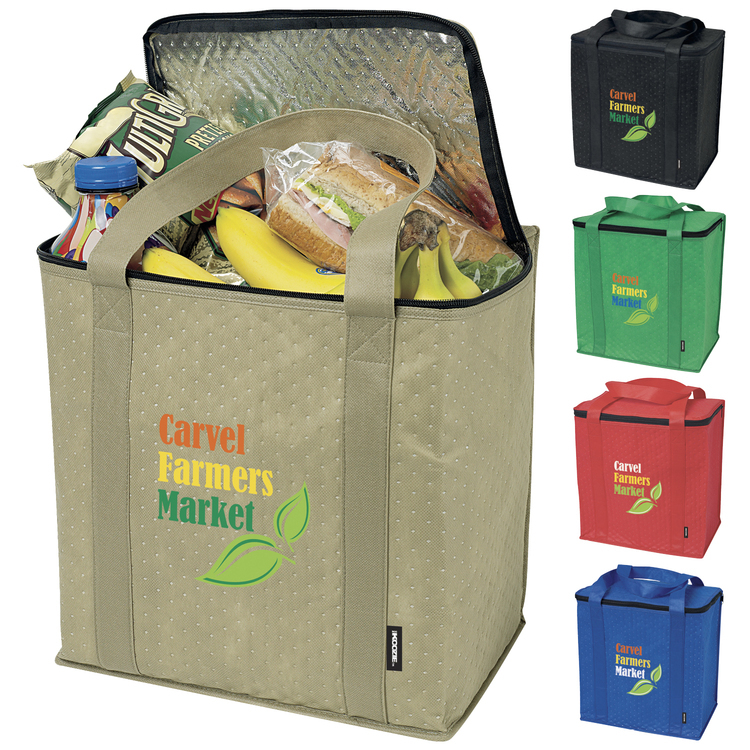 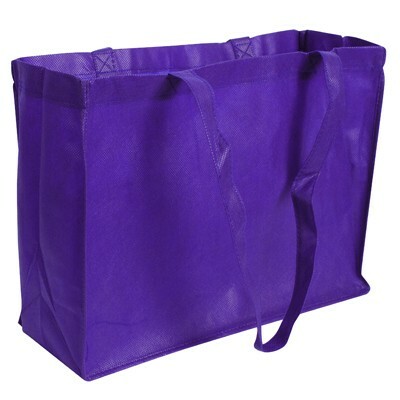 Grocery Tote back that is environmentally friendly and recyclable. 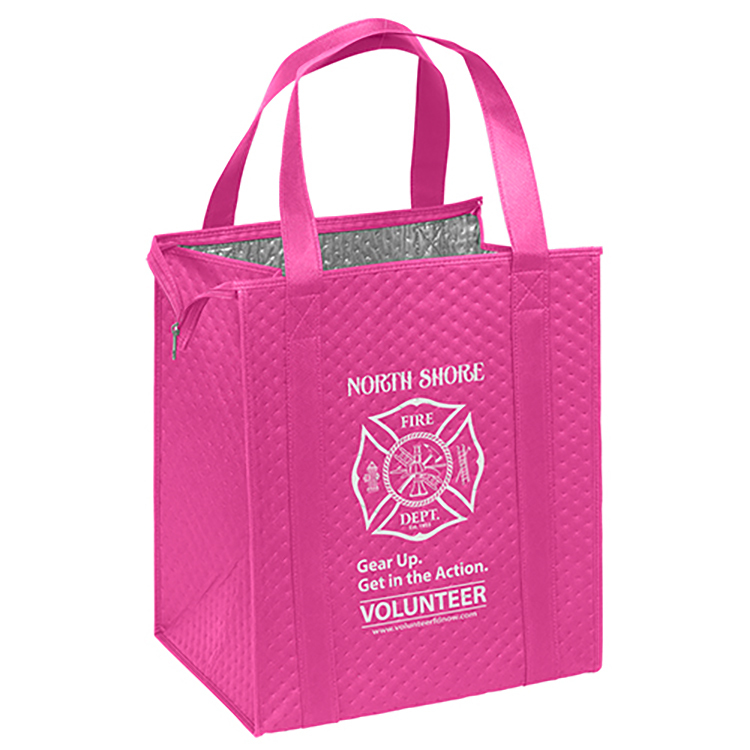 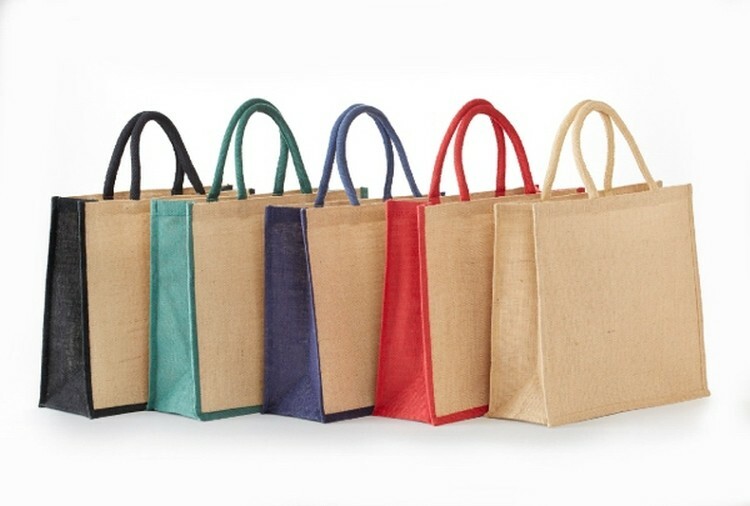 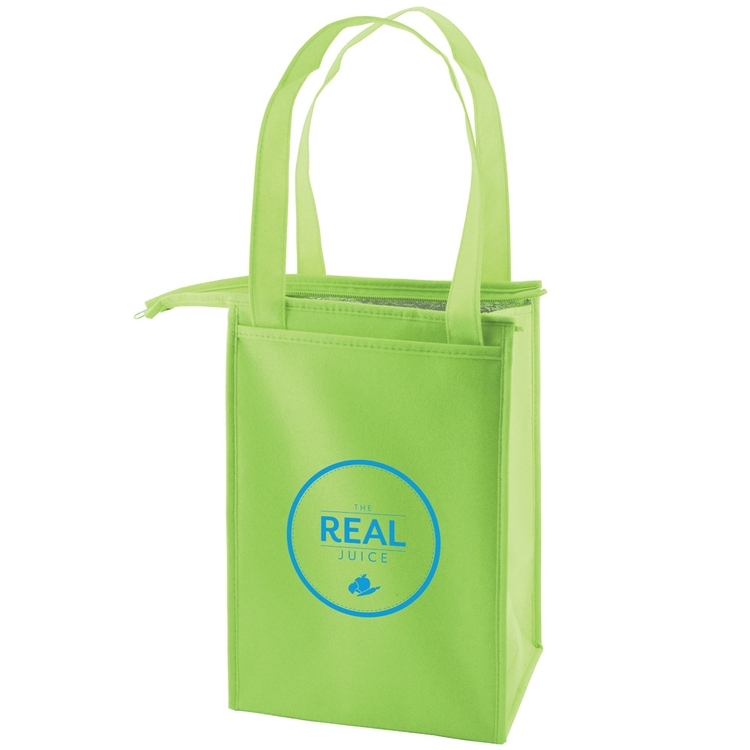 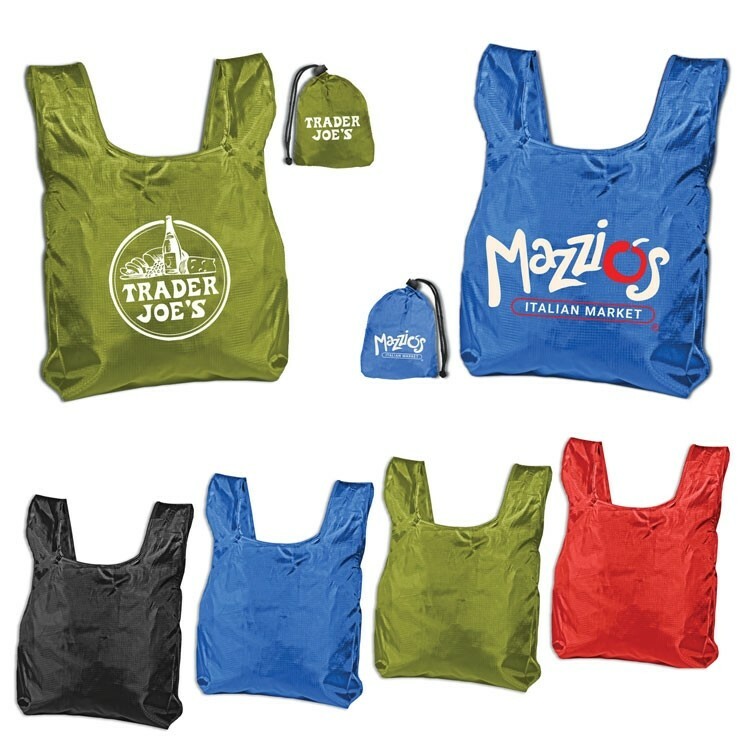 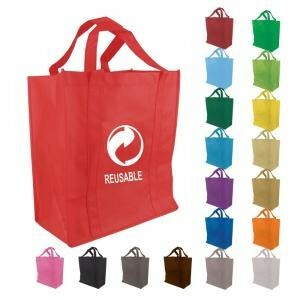 This foldable shopping bag is made of 190T polyester material. 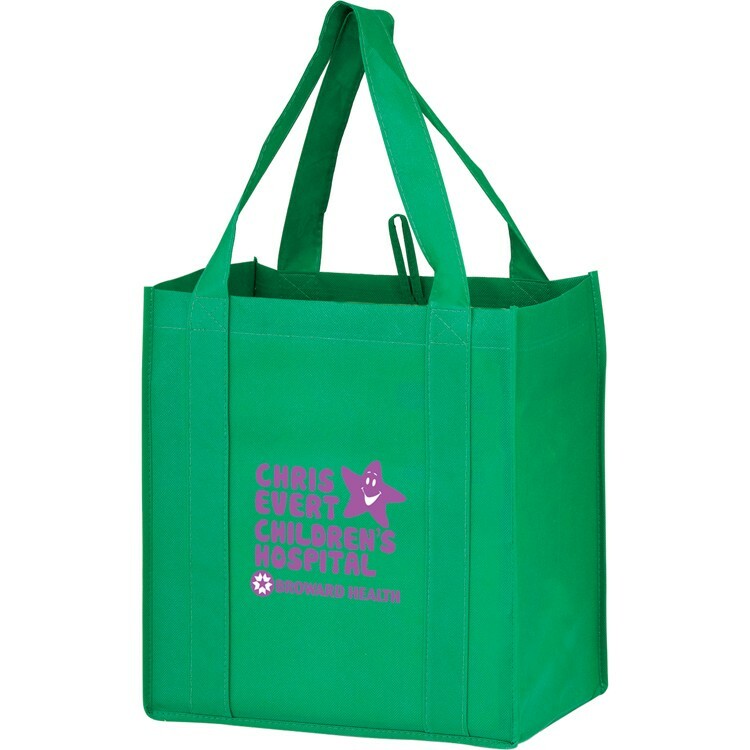 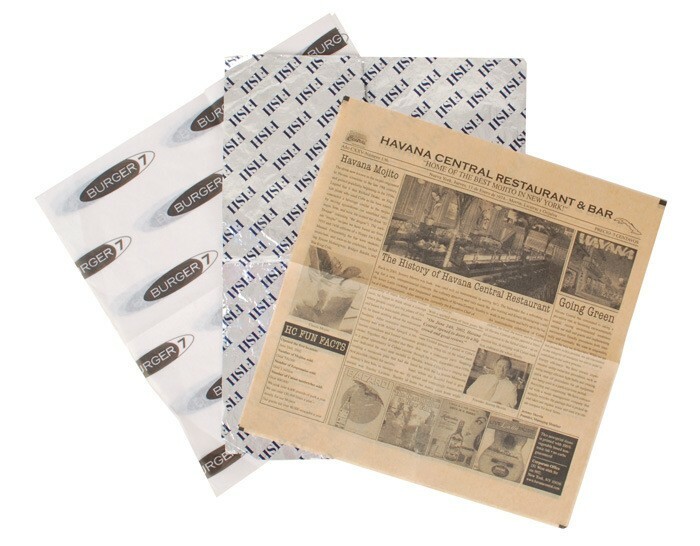 It is suitable for shipping, advertisements, gifts, promotion, and packing. 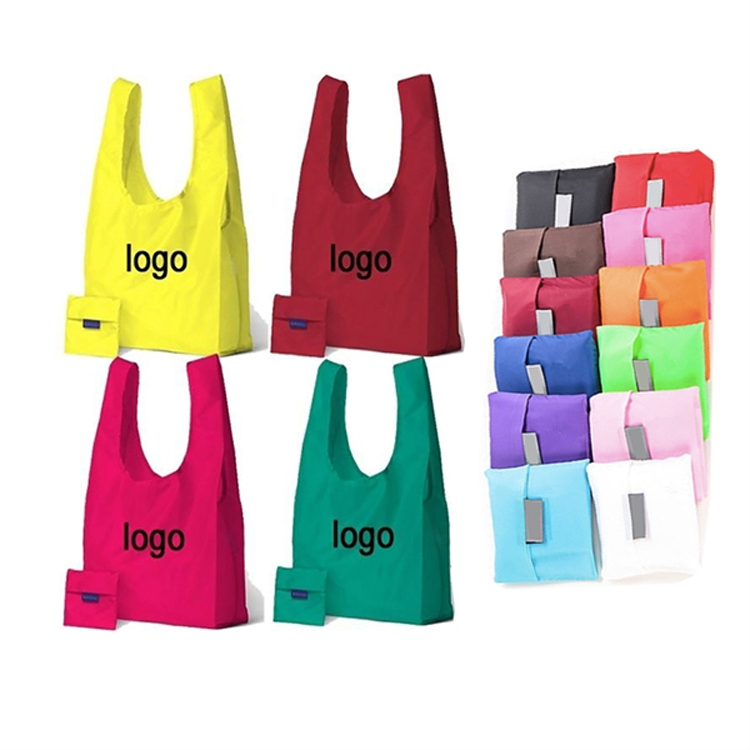 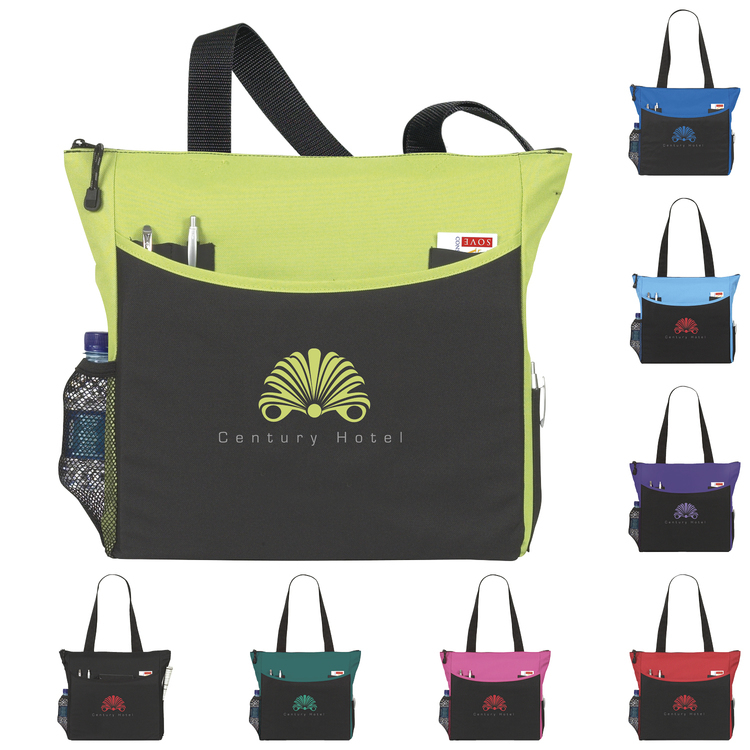 You can fold the bag into very small form factor and put in the pouch, which is easy to carry and use. 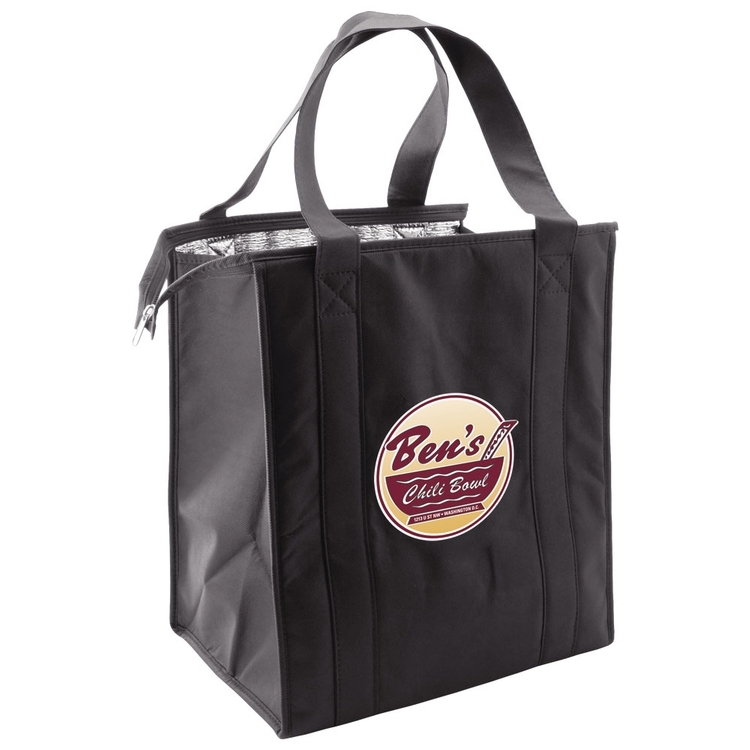 Large logo imprint area is available to spread your brand name. 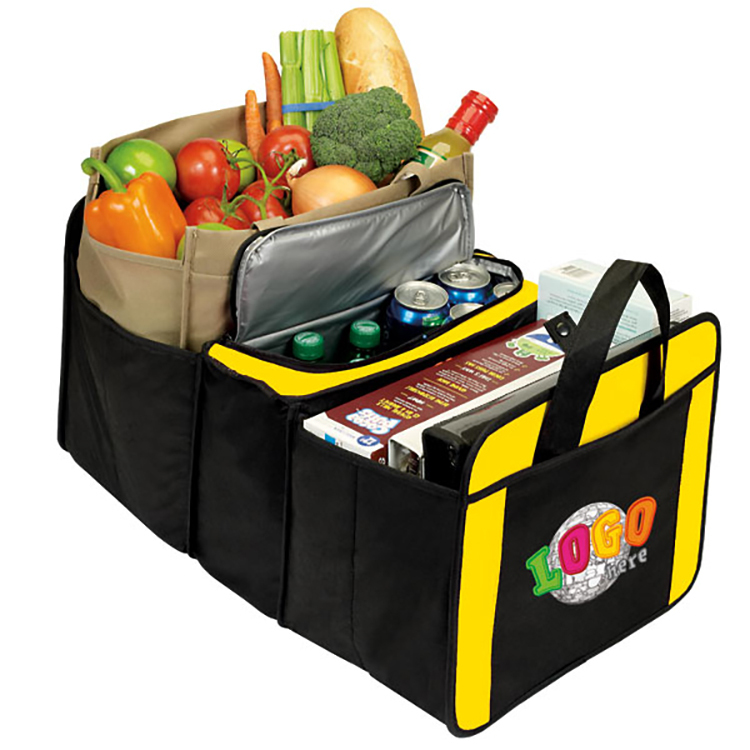 A perfect grocery accessory, the KOOZIE® Zippered Insulated Grocery Tote will keep your food cold until you get home.